Originally from Long Island, NY. I graduated from Cornell University in 1993. After traveling extensively in Europe I decided I wanted to see the West and California. I moved to the SanFrancisco Bay area in 1996. I now live in Mill Valley, CA and am the father of two young boys Max and Ryder. I'm inspired by Modern Art, Architecture, and almost anything built by man to solve a problem or achieve a goal. 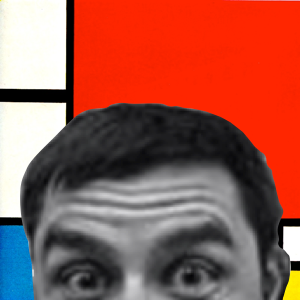 Piet Mondrian was the first artist that truly inspired me. His work introduced me to not just modern art but made me re-think how I look at the world at large. Cycling is the synthesis of so much that is great about being alive. Bikes are massively efficient, breathtakingly beautiful, packed with cutting edge technology, yet incomplete without a rider. On a bike you can go places, explore, compete, learn, love, live!